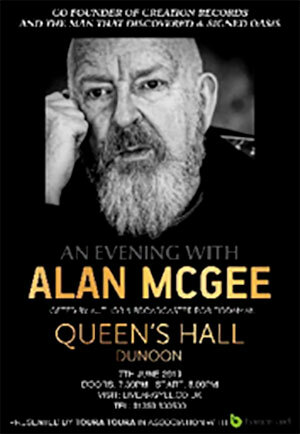 Alan McGee is a Scottish businessman and music industry executive. He is best known for co-founding and running the independent Creation Records label and is the man who discovered and signed Oasis. Join Alan as he discusses his career, the music industry and his relationship with bands such as Oasis and Primal Scream.